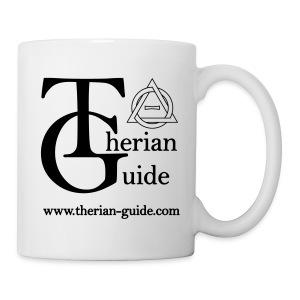 We are now shipping our first Therian-Guide merchandise! 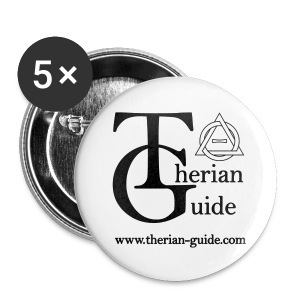 If you haven't posted enough to buy the item with points, you can also get the button 5-pack by donating 20 USD (or 20 €) or more to TG. If you donate 40 USD (or 40 €) or more, you will be eligible to receive the Mug. Please see the front page for the donate button. Please refer to this thread for details regarding the process. Disclaimer: As noted before, we are not making a profit from this, all donated money will be used to pay for expenses involved in manufacturing and shipping the merchandise, provided by a 3rd party. Are the shirts and hoodies gonna look like these as well or will they be different? I don't get how this works. If you have enough points and "buy" it from the points shop, how will you physically get it? (2016-07-29 0:46)Sahkari Wrote: I don't get how this works. If you have enough points and "buy" it from the points shop, how will you physically get it? Yup, we just need your shipping address. I've updated this thread. With the information we need to ship the item. (2016-07-28 22:29)Neema Wrote: Are the shirts and hoodies gonna look like these as well or will they be different? Come check out the vote on Mug color. In regards to other merchandise that will be released, as a recommendation the blanky which is currently stated to be grey I feel is possibly a bit bland and doesn't quite fit the site/theme, while I'm aware the suppliers that make the merchandise may only have set colours available if an earthen green much like the one used for headers could be used I feel this may suit it better. But of course this is still until a later date and I'm sure the colour will be debated on in the future anyway. (2016-07-29 21:28)Nova Wrote: In regards to other merchandise that will be released, as a recommendation the blanky which is currently stated to be grey I feel is possibly a bit bland and doesn't quite fit the site/theme, while I'm aware the suppliers that make the merchandise may only have set colours available if an earthen green much like the one used for headers could be used I feel this may suit it better. But of course this is still until a later date and I'm sure the colour will be debated on in the future anyway. The blanket isn't going to be gray, probably. We're still working on the designs for the blanket, t-shirt and hoodie. The supplier only offers the blanket in gray, black and red though. I'm sorry if this question has been answered before, but is this a one-time thing? 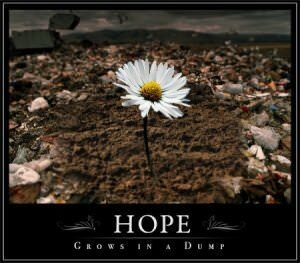 Or will there be more stock some time after this has run out? I am not afraid of death, as death in itself is an adventure, but life in itself is to be lived to the full, and only once I have lived life's adventure will I die.